While tech salaries overall grew only slightly last year, skills in Big Data, Cloud and Process Management are in high demand and are driving compensation upward. Being aware of these "big picture" salary trends is vital to your success as a talent acquisition professional, but how do you know if the salary being offered for a particular position is truly comparable to what tech pros in your market are actually being paid? 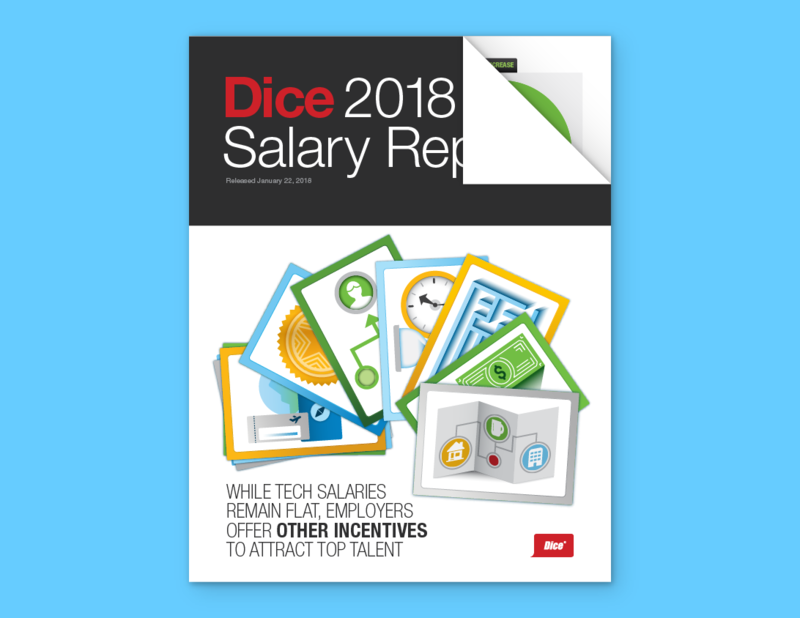 Download Dice's 2018 Salary Report to see compensation trends by tech skill, job title, state, metro and industry. Then, use our new Salary Calculator to create customized, skills-based salary estimates for the exact positions you're recruiting.